Home » AUD » Pound Australian Dollar Exchange Rate Forecast: Will GBP/AUD Recover on UK Sales Growth? The Pound (GBP) has fallen by -0.4% against the Australian Dollar (AUD) today, following the news that UK inflation has slowed by more than expected. This deceleration in the rate of UK price growth has unsettled GBP traders, who are worried about reduced odds of a Bank of England (BoE) interest rate hike. While this data has weakened the Pound, the UK currency could recover and rise when retail sales stats come out on Thursday. The year-on-year readings for September are tipped to show growth, even if month-on-month slowdowns are expected. Increased sales activity is good news for the UK economy as a whole, as it can lead to faster GDP growth and prevent job losses among struggling retailers. Will BoE Governor’s Comments Trigger GBP/AUD Exchange Rate Rise? This week’s last major UK economic event will come on Friday, when Bank of England (BoE) Governor Mark Carney makes a speech. Mr Carney will be giving remarks in New York and might raise demand for Pound Sterling (GBP) if he discusses monetary policy. Given growing uncertainty about a 2019 BoE interest rate hike, Mr Carney could reassure traders and boost the Pound by backing an interest rate increase next year. An explicit statement of when such a rate hike could occur is unlikely, although even hints could be enough to cause GBP/AUD exchange rate gains. 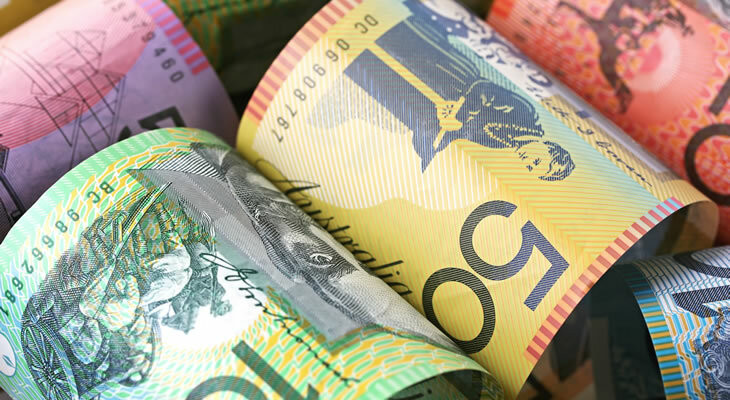 Australian Dollar to Pound Forecast: Are AUD/GBP Exchange Rate Gains ahead on Employment Data? The Australian Dollar (AUD) could rise further against Pound Sterling (GBP) on Thursday, when high-impact jobs market data is due for release. Covering changes to the unemployment rate and the number of employed persons, the figures could open the door to an AUD/GBP exchange rate rise. Current expectations are for higher part-time and full-time employment, as well as no change to the unemployment rate which currently sits at 5.3%. In the best-case scenario for Australian Dollar traders, full-time employment could rise sharply alongside news of an unexpected drop in the unemployment rate. Despite the potential for positive results, however, some economists are forecasting a possible unemployment rate rise to 5.4%; this could cause AUD/GBP losses. Will Australian Inflation Rate Data Cause AUD/GBP Exchange Rate Gains? Looking beyond this week’s data, the Australian Dollar to Pound (AUD/GBP) exchange rate could next be affected by Australian inflation rate stats out on 31st October. Covering reported price growth in Q3 2018, these figures are tipped to show a minor acceleration in month-on-month inflation. A rise from 0.4% to 0.49% might cause some AUD/GBP exchange rate gains, depending on if AUD traders respond positively to the news. A faster pace of inflation puts more pressure on the Reserve Bank of Australia (RBA) to raise interest rates, among other factors. Despite the RBA’s assertion that higher wage growth is needed ahead of a rate hike, news of higher inflation could still boost demand for the Australian currency.